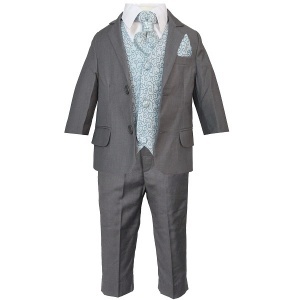 Grey & sky blue swirl 6 piece slim fit jacket suit for baby boys, toddler or older boy, the perfect outfit for any special occasion including a christening, wedding as a pageboy / guest, formal occasion etc. 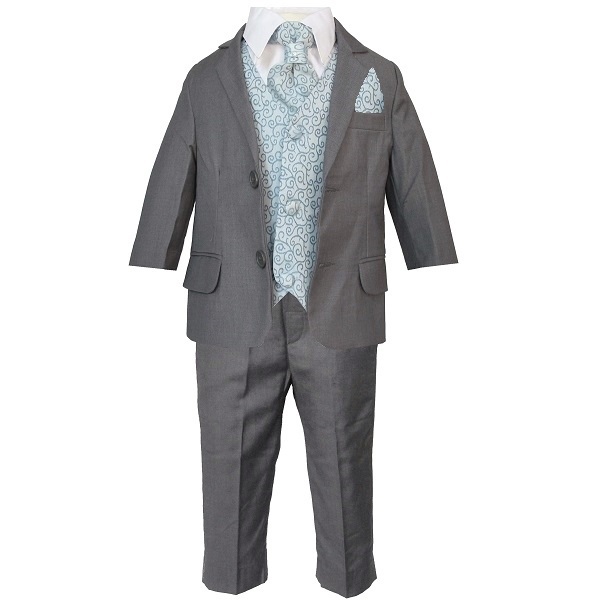 This grey & sky blue swirl 6 piece slim fit outfit will make him look like the perfect handsome gentleman at a christening, wedding as a pageboy / guest or a special occasion. 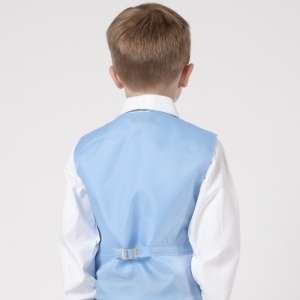 Arrived quickly, was well packaged and well made he hasn't worn it yet, but I am sure he will look lovely next to my husband to be on our day, matching suit like his dad.